FREE - FRUGAL ALERT! 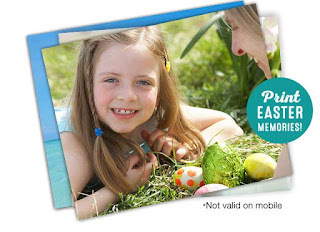 FREE 8X10 PHOTO FROM WALGREENS. If you missed the other Walgreens' free offers I have posted for you, you really missed out, so don't miss this one. This is for a FREE 8x10 print. Just go to Walgreens.com, click on the photos tab on top, or follow this link straight to the photo section. Then simply sign in, or register for a free account. Upload photos into your account, and then you can order from those pictures. Click on prints, and order an 8x10 print. Checkout, and put in the coupon/promo code 8X10APRIL that will make the print FREE. Choose that you will pick it up in the store to avoid shipping charges, which will make it totally free. Picking it up in the store means you do NOT have to enter any credit card information. This is an another great freebie from Walgreens Photos, and if you put it in a nice frame it will make a nice gift for someone. Walgreens does a really good job with the photos so don't miss out. Hurry this offer is only good through Sunday, April 21, 2019. FREE - FRUGAL ALERT! 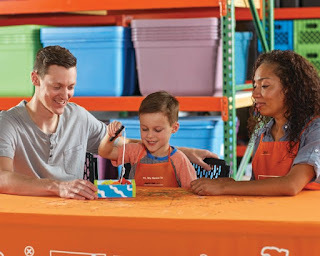 HOME DEPOT KIDS WORKSHOP ON APRIL 6, 2019 - MAKE A BIRDHOUSE. 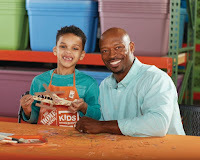 Hi, on Saturday, April 6, 2019, kids can make FREE Birdhouse at 9am to 12pm at Home Depot. At this workshop you can encourage a love for nature, and ornithology in their hands-on workshop where you, and your child can build a birdhouse. Your young birdwatcher can observe birds' behaviors like nest building, and provide them a safe place to eat without the need for expensive equipment. Once your birdhouse is built, your child can decorate it with paint, and stickers. Register your kids now for the best available location, and so you don't forget. The workshops for kids are totally FREE for children ages 5-12. All kids get to keep their craft, receive a FREE certificate of achievement, a Workshop Apron, and a commemorative pin. You'll need to register your child here. 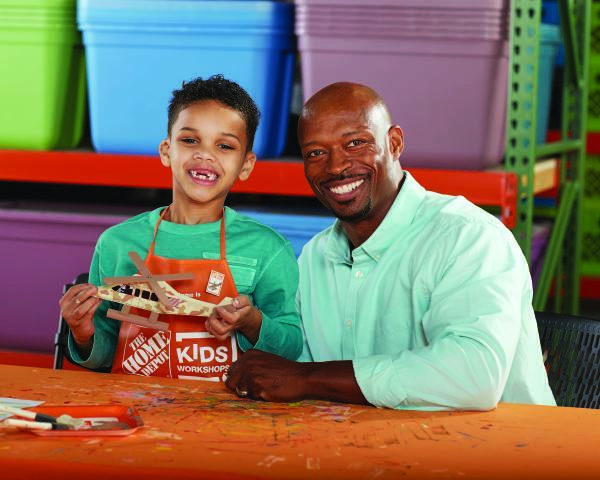 If you're interested in the Home Depot Kid's Workshops, bookmark the page, and keep an eye out for the next one. When new workshops are announced, the spaces fill quickly, so you need to act quickly, and register your child to attend them. 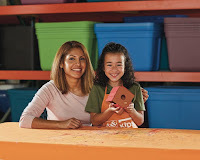 All Kids Workshop attendees must be accompanied by a parent, or adult at all times. FREE - FRUGAL ALERT! WEDNESDAY, MARCH 20, 2019, IS FREE CONE DAY AT DQ. Hi, you all know that I recommend only healthy eating, and living, but if you are healthy, an occasional treat is fine, that's why I'm posting this. It's that time of the year again, FREE Cone Day at DQ. Every year they celebrate the first day of spring by giving away a free small vanilla cone at all non mall participating DQ locations. This year it's on Wednesday, March 20, 2019, all day long. As most of you know, this is a yearly event at Dairy Queen stores. This is the 5th year they are giving away the free cones. There is a limit of one cone per person. FREE - FRUGAL ALERT! WEDNESDAY, MARCH 20, 2019, IS FREE ITALIAN ICE DAY AT RITA'S. It's that time of the year again, FREE Italian Ice at Rita's. Every year they celebrate the first day of spring by giving away free Italian Ice. This year it's on Wednesday, March 20, 2019, from 12pm to 9pm. As most of you know, this is a yearly event at all Rita's stores. They have been doing it for over 20 years. Last year they gave away almost one million cups of Italian Ice. FREE - FRUGAL ALERT! 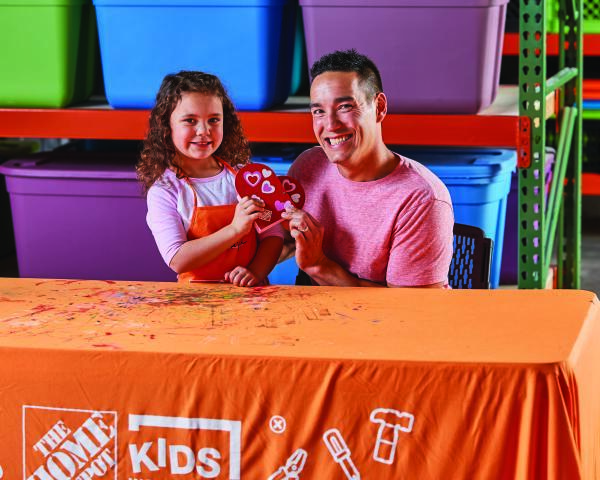 HOME DEPOT KIDS WORKSHOP ON FEBRUARY 3, 2019 - MAKE A HEART CANDY BOX. 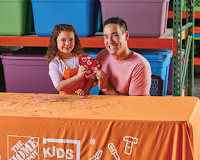 Hi, on Saturday, February 3, 2019, kids can make FREE Heart Candy Box at 9am at Home Depot. At this workshop you can celebrate love and kindness with a personalized candy heart box. In this workshop, you and your child can build a heart shaped box for Valentine's Day perfect as a gift for someone you love or to stash all your super sweet Valentine's Day goodies and keepsakes. Once the heart is built, your child can customize it with paint and stickers. Hi, Happy Belated New Year to all. 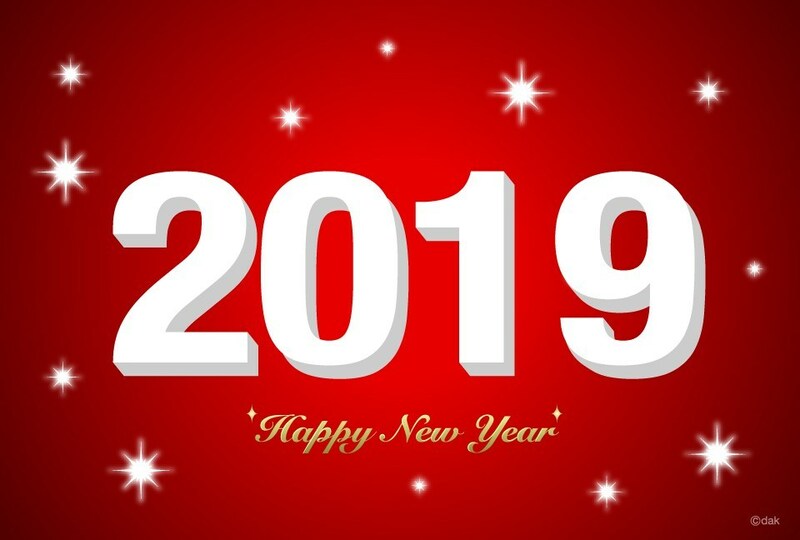 I hope 2019 brings an abundance of health, and wealth to everyone. I'm sorry I haven't been able to post lately as I'm still working on my project. When I'm finished I will post about it. Anyway, I hope everyone didn't make any New Year's resolutions this year. That's right I said didn't. I know that when resolutions are made, no matter how good the intentions are they usually don't last very long. What I do hope for everyone is that you clean up your diet, and really start to make changes to a plant based diet, because it really does make a difference in your overall health. And as I've, and others, have often said when you have your health you have everything. FREE - FRUGAL ALERT! JC PENNEY FREE COUPON GIVEAWAY ON THANKSGIVING DAY NOVEMBER 22, 2018. Hi, Happy Thanksgiving. JC Penney stores are giving away $10 off a $10 or more purchase coupon on Thanksgiving November 22, 2018. Those that get there early will get the $10 coupon, but there are also $100 off $100 or more, and $500 off $500 or more. So you could really score. Most of the stores are starting the giveaway when they open at 2pm, so get there early as there will probably be long lines, but remember it's only while supplies last. They've done this before, and even if you only get a $10 coupon you could get 3 bath towels for $3 each marked down from $10 for FREE, plus something for a dollar, or anything else you might need. FREE - FRUGAL ALERT! SIGN UP FOR TOPCASHBACK TO GET MONEY BACK ON THE THINGS YOU BUY ANYWAY. TopCashBack is a great way to get FREE MONEY on the things you would buy anyway. I can tell you it is legit, and I've gotten money back mostly from purchases I made at Vitacost.com, Amazon.com, and at Walmart.com. But there are a lot of stores you can shop at, just check out their website. If you are going to shop anyway you might as well get the FREE MONEY too. Here is a link to sign up for Free. It costs nothing to sign up, and since I have become a member I usually use the money I make there to pay for my Amazon.com purchases, because they give an extra 3% back as well. Check it out for yourself, and make sure you pay with a Rewards Credit Card to make even more money by getting points for every dollar you spend. Just make sure to pay off your credit card in full every month which equals more FREE MONEY. I know a lot of so called experts tell you not to pay with a credit card, but to use cash, but I say always pay with a credit card as long as it is a REWARDS credit card, and make sure to pay it off in full every month so that you don't incur any charges, and also make sure you get one that does NOT have an annual fee. FREE - FRUGAL ALERT! HOME DEPOT KIDS WORKSHOP ON NOVEMBER 3, 2018 - MAKE A HELICOPTER. Hi, on Saturday, November 3, 2018, kids can make FREE Helicopter at 9am at Home Depot. At this workshop you can celebrate, and honor all who have served our country in their hands-on Veteran’s Day focused workshop. You and your child can build a custom model military helicopter to spark a conversation with a Veteran about fighting large fires, moving troops, getting supplies to ships, and transporting patients. Once the “helo” build is complete, your child can decorate it with paint and stickers. FREE - FRUGAL ALERT! 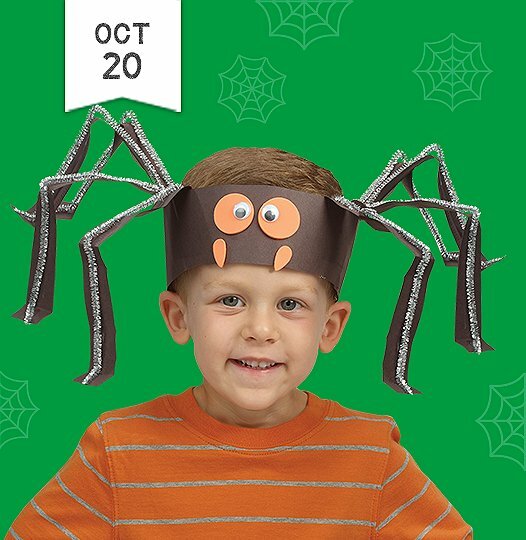 FREE CRAFTS FOR KIDS AT LAKESHORE LEARNING STORES ON SATURDAY, OCTOBER 20, 2018. Hi, on Saturday, October 20, 2018, kids can make a FREE Silly Spider Headband, at 11 am at a Lakeshore Learning Store. Here is a link for all the details, and to locate a store near you. If you're interested in the Free Crafts For Kids at Lakeshore, bookmark the page, and keep an eye out for the next one. They have them every Saturday from 11am to 3pm. No reservation is necessary, just show up. These crafts are simple, inexpensive, and are appropriate for ages 3 years, and up. While they are simple crafts they are especially great for the very young, because not only are they fun for the kids, but educational too. They will stimulate your young child's imagination, and creativity as well as developing their physical, and mental growth. Not to mention they help in developing fine motor skills, and manual dexterity. FREE - FRUGAL ALERT! HOME DEPOT KIDS WORKSHOP ON OCTOBER 6, 2018 - MAKE A FIREBOAT. Hi, on Saturday, October 6, 2018, kids can make FREE Fireboat at 9am at Home Depot. At this workshop you can celebrate National Fire Safety Month in their hands-on workshop where you, and your child can build a model fireboat to put out shoreline, or shipboard fires, and transport emergency personnel, and rescue workers. Once your firefighting vessel construction is complete, you and your child can decorate it with paint, and stickers, and give it a name like the historically famous fireboats that precede your new firefighting craft. FREE - FRUGAL ALERT! FREE LEGO SCARECROW MINI MODEL BUILD TUESDAY & WEDNESDAY OCTOBER 2 & 3, 2018. 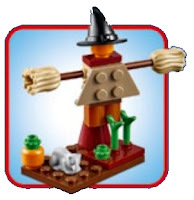 Visit a LEGO Store and learn how to build a LEGO Scarecrow Mini Model, and take it home – for FREE! LEGO is having their FREE October Monthly Mini Builds on Tuesday, and Wednesday, October 2 and 3. Stores will no longer accept walk-ins on the night of the event. You now need to register your child ahead of time. Here is the link for that. Quantities are limited to about 120 per store per night, and the offer is good only while supplies last, so sign up now. One registration has a limit of 4 children per household. Please note that you are registering for a building event. Guests must participate in the event to receive the FREE set. Guests will not be permitted to collect the set, and immediately leave, and may not pick the set up at a later date, or time. Models are not for sale, and cannot be purchased. One FREE per child. The event is open to children ages 6-14 only. The November registration begins on October 15 at 10am EST. These monthly mini build really fill up fast so register you child/children quickly. FREE - FRUGAL ALERT! FREE SUPERWELL ORGANIC MACA SUPER ROOT. Hi, Superwell is giving away a FREE sample package of Superwell Organic Maca Super Root Powder to anyone who clicks on the "Send Message" button on their Facebook page, and answers a few questions. It's valued at $12.97, and you will be given a chance to choose a different product instead, for example Cacao Powder. They will send you a link to redeem your free packet when they officially launch. But don't wait, sign up now, as I don't know how long this offer will last. 15% OFF ALMOST EVERYTHING ON EBAY--TODAY ONLY--AUGUST 28, 2018. Hi, today, August 28, 2018, ebay is having a big sale. They are giving 15% off, today only, for almost anything sold on ebay. There are a few exceptions, and you have to buy at least $25, and your limit off is $100 so that makes the sweet spot at around $667 if you want the whole $100 off. The total doesn't include shipping, and taxes, but I have a link below with all the details. This is for today only, and this offer ends at 10pm PT, or 1am EST. So if you were planning on buying something on ebay today is the day to do it. Just check out, and apply the Coupon Code in the Redemption Code Field: PREGAME15. FREE - FRUGAL ALERT! HOME DEPOT KIDS WORKSHOP ON AUGUST 4, 2018 - MAKE BOOKWORM BOOKENDS. Hi, on Saturday, August 4, 2018, kids can make FREE Bookworm Bookends at 9am at Home Depot. At this workshop you can celebrate your child's devotion to reading in their book lover's hands-on workshop. Together you, and your child can build a set of bookworm bookends to add personality, organization, and excitement to bookshelves in any playroom, family room, or bedroom. Once your bookends construction is complete, you and your child can decorate it with paint, and stickers. FREE - FRUGAL ALERT! FREE CRAFTS FOR KIDS AT LAKESHORE LEARNING STORES ON SATURDAY, AUGUST 4, 2018. 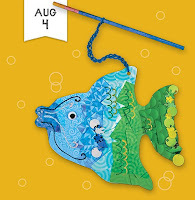 Hi, on Saturday, August 4, 2018, kids can make a FREE Let's Go Fishing Craft, at 11 am at a Lakeshore Learning Store. Here is a link for all the details, and to locate a store near you. FREE - FRUGAL ALERT! 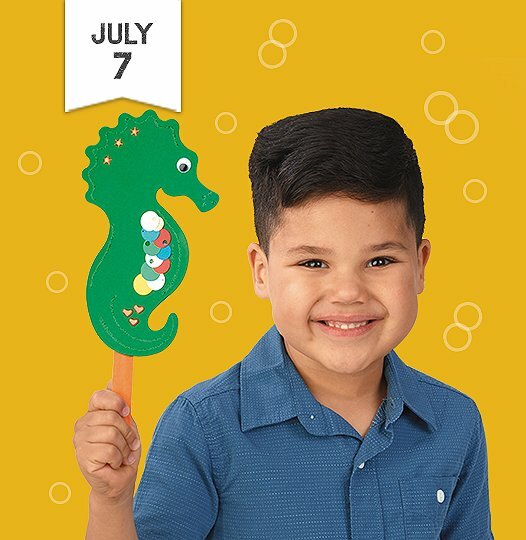 FREE CRAFTS FOR KIDS AT LAKESHORE LEARNING STORES ON SATURDAY, JULY 7, 2018. Hi, on Saturday, July 7, 2018, kids can make a FREE Under the Sea Animal, at 11 am at a Lakeshore Learning Store. Here is a link for all the details, and to locate a store near you. FREE - FRUGAL ALERT! 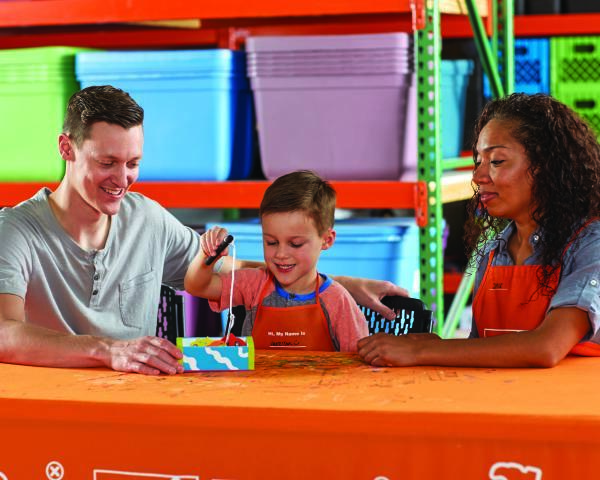 HOME DEPOT KIDS WORKSHOP ON JULY 7, 2018 - MAKE A FISHING GAME. Hi, on Saturday, July 7, 2018, kids can build a FREE Fishing Game at 9am at Home Depot. At this workshop you can reel in the summer fun in their hands-on workshop where you, and your child can build a fishing game while tackling educational and developmental skills. Once your fishing game is built, you both can decorate it with paint and stickers. LESS POSTING - WORKING ON LARGE PROJECT. Hi, I'm sorry I haven't been able to keep up with my blog the last couple of months, but I've been working on a large project. I will try to do a little better, although the next couple of months it will continue, but I haven't forgotten about this blog. So I just wanted to remind everyone to check out my permanent pages at the top especially the "Free Stuff" page, since many of the free things are repeated monthly, or yearly. I hope everyone is enjoying the summer, but still taking care of their health. FREE - FRUGAL ALERT! HOME DEPOT KIDS WORKSHOP ON JUNE 2, 2018 - MAKE A CLASSIC CAR. Hi, on Saturday, June 2, 2018, kids can make a FREE Classic Car at 9am at Home Depot. At this workshop you can share the nostalgic pastime of car modeling with your child in their classic car hands-on workshop. Together you can build a vintage General Motors-style wooden car to put on display or take for a ride with no particular place to go. Once your vehicle is built, your child can customize it with paint and stickers. The workshops for kids are totally FREE for children ages 3-12. All kids get to keep their craft, receive a FREE certificate of achievement, a Workshop Apron, and a commemorative pin. On Friday, June 1, 2018, in honor of National Doughnut Day, guests will be treated to one FREE doughnut of any variety at participating Krispy Kreme® US and Canadian store locations. National Doughnut Day commemorates The Salvation Army volunteers who provided doughnuts to soldiers in WWI. Offer valid for one FREE doughnut of any variety, at participating Krispy Kreme US and Canadian store locations on Friday, June 1, 2018 only. No other purchase necessary. While supplies last. Offer not valid at convenience or grocery stores. Excludes Connecticut and Puerto Rico locations. Here is a link to locate a store near you. FREE - FRUGAL ALERT! GET A $10 VOUCHER ON EBAY AFTER PURCHASE. If you are NEW to ebay, you can get a FREE $10 voucher after your first purchase, or if you are a returning ebay customer. Here's what they have to say is a new, or returning ebay customer: In order to be considered a new customer, or a qualified returning customer, you must (1) register a new account with eBay and complete your first purchase; OR (2) must be a returning customer that has not completed a purchase on eBay in the last 12 months and complete your first purchase. They will determine in their sole discretion whether the customer is a new customer, or a qualified returning customer. Just follow this link to ebay and order something, and receive a $10 voucher to use on your next purchase. In complete transparency I will also receive a $10 voucher. But I really do believe it is worth shopping on ebay, not only can you find anything on there, but at usually the best prices. It is worth noting that if you have an item, electronic or otherwise, that has a part that has broken, don't necessarily discard it, you can usually find the correct part on ebay. Try it out. It's also the best place to get missing, or broken china pieces, collectibles, and car parts etc. For example I received a newly refurbished Lenovo laptop, but it didn't have a charger, so I found a genuine, and inexpensive matching one on ebay, now my new laptop is complete. Always check out ebay first. For all the bad rap it gets it's still the best place to shop especially for something you haven't been able to find elsewhere. FREE - FRUGAL ALERT! HOME DEPOT KIDS WORKSHOP ON MAY 5, 2018 - MAKE A WINDMILL PLANTER. Hi, on Saturday, May 5, 2018, kids can make a FREE Windmill Planter at 9am at Home Depot. At this workshop you can discuss the benefits of non-polluting sustainable energy in their hands-on workshop where you, and your child can build a model windmill that holds a beautiful seasonal flower, or low maintenance herb just in time for Mother’s Day. Once your windmill planter is built, your child can decorate it with paint, and stickers. In honor of Earth Day if you live in Florida and have an EVOS Restaurant near you you can get a FREE Organic Milkshake today from 11am to 8pm. FREE - FRUGAL ALERT! FREE CRAFTS FOR KIDS AT LAKESHORE LEARNING STORES ON SATURDAY, APRIL 21, 2018. 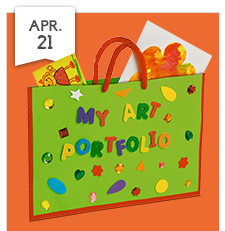 Hi, on Saturday, April 21, 2018, kids can make a FREE a My Art Portfolio, at 11 am at a Lakeshore Learning Store. Here is a link for all the details, and to locate a store near you. FREE - FRUGAL ALERT! FREE CRAFTS FOR KIDS AT LAKESHORE LEARNING STORES ON SATURDAY, APRIL 14, 2018. 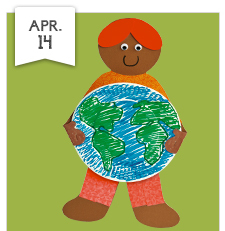 Hi, on Saturday, April 14, 2018, kids can make a FREE My Earth Day Promise, at 11 am at a Lakeshore Learning Store. Here is a link for all the details, and to locate a store near you. It's that time of the year again, FREE CONE DAY at Ben & Jerry's. From 12pm to 8pm on Tuesday, April 10, 2018, they are giving away a Free ice cream cone at all their locations. As most of you know, this is a yearly event at all Ben & Jerry's stores. No other purchase is necessary. FREE - FRUGAL ALERT! FREE CRAFTS FOR KIDS AT LAKESHORE LEARNING STORES ON SATURDAY, APRIL 7, 2018. 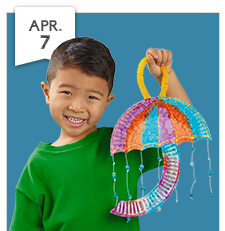 Hi, on Saturday, April 7, 2018, kids can make a FREE April Showers Umbrella, at 11 am at a Lakeshore Learning Store. Here is a link for all the details, and to locate a store near you. FREE - FRUGAL ALERT! LITTLE CAESARS FREE LUNCH COMBO ON APRIL 2, 2018 FROM 11:30AM TO 1PM ONLY. Little Caesars "If Crazy Happens" promotion has become a reality. And it means free pizza for everyone. The company's "If Crazy Happens" promotion offered a free lunch combo on Monday, April 2, if and only if a No. 16 seed beat a No. 1 seed in the 2018 men’s college basketball tournament in the applicable games played on Thursday, March 15, 2018 or Friday, March 16, 2018. Well crazy happened thanks to UMBC beating Virginia 74-54, and that translates into a FREE HOT-N-READY Lunch Combo for everyone on April 2, 2018. It's only valid for an 1 1/2 hours, from 11:30am to 1pm, so get there early. Here is the link with all the details. EASTER EGGS DYED THE NATURAL HEALTHY WAY - SHUN THE ARTIFICIAL FOOD COLORS! Hi, I thought this was worth re-posting with Easter upon us. Beside using natural dyes, don't forget to buy healthy organic eggs from free ranged chickens. If you can buy them from a local farmer, even better. A lot of people are going to be dyeing eggs this Easter, and so many will be using those awful food coloring dyes. I stay away from all food coloring, and if you can color eggs that will look just as nice why not use natural dyes. You can combine the colors for an interesting effect. Play around with them, and see what you get. I suggest you wash the eggs first in a vinegar or vinegar and water wash. I used the heat method, and just put the raw eggs in a pot, use glass, with the dyeing ingredients, and about 1/4 cup of white vinegar to about 2 quarts of water. Make sure you use a lot of the coloring ingredients if you want a rich color. You don't have to put the vinegar in but the dye won't hold as well and you might not get a very deep color. I bring the eggs to a slow boil, so as not to crack them, and then simmered for about 15 minutes. You can use a cold method as well. Wash the eggs, hard boil them, and then let them cool. Boil the dyeing ingredients, separately of course, unless you are combining colors. Bring to a boil then simmer for about 30. Cool, and add about 1/4 cup white vinegar to about 2 quarts of color. You can strain the dye through a coffee filter, and then dip the eggs in the dye, or leave the coloring ingredients in for a interesting effect. Leave eggs in the dye until desired color is obtained. You can leave them in for hours for a deep color as long as you refrigerate them. Either way, you can combine colors for different shades. One year I wrapped the eggs in the onion skins before boiling them, and got a pretty design on them, so you can try that also with any of the ingredients. You almost can't go wrong; experiment. It's great for kids to be involved this way, and a great lesson for them, about how things used to be dyed using natural items, before we become a chemical society. There are many other more detailed websites on how to do this, then I just explained. Just Google for them. I just wanted to remind anyone who came across my blog, to do more things without chemicals, and to try and get people thinking about forgoing the chemicals in even the small things. I'm an avid Art Collector, and this is one of my favorites by Margaret Jordan Patterson. This isn't me-I'm not as cute.